“The only constant thing in this world is change”, This is the only reason why Invoicera has come up with the latest updates of its revised features which will add to the experience of its users. Coming up with latest innovations with equal amount of simplicity in its services is something which has enabled Invoicera to conquer the rest of the online billing agencies. You will be able to easily import your clients to your Invoicera account and manage them effectively. Can import all your clients in one go by copying their details in an excel sheet and then bring them to your account. You can modify the template of your invoice as per your needs and requirements. 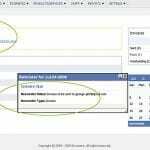 Can add or delete sections from your invoice layout. Helps your clients to interpret your invoice in a better way and make quick payments. Reflects your professionalism and enhances your overall business image. 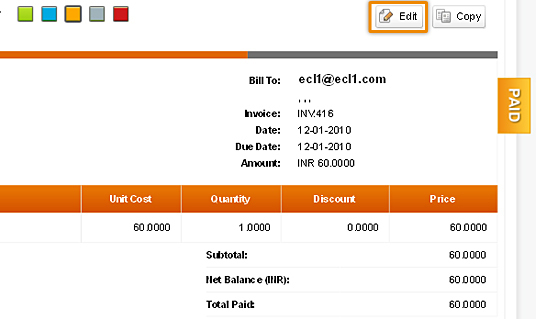 Now you can edit your invoices even if they are paid by your clients. Allows you to resolve any issue related to your partial, paid or outstanding payments. You can edit the amount and charge late fee, taxes and discounts if necessary for that particular client. Allows you to remove your offline payments which you received from your clients and updated in your offline payment section of your account. Facilitates you with updated status of all your paid invoices and keeping a track of them. Helps to maintain a proper record regarding the payments of your invoices. Enhances your e-mailing as you can attach a file which can contain more information regarding the transaction and the invoice. Enables your client to interpret it in a more efficient way which also facilitates quick payments. We hope that these updates must have pleased you up to some extent. All the efforts made by our team are fully focused towards the fulfillment of all the needs and requirements of our users. If these features are able to add a little value to your usability and a smile on your face, then we have almost got our reward.